Just announced at SIHH 2019, there will be not one, but two new Vacheron Constantin Overseas Perpetual Calendars in 18k pink gold cases added to the lineup for 2019. 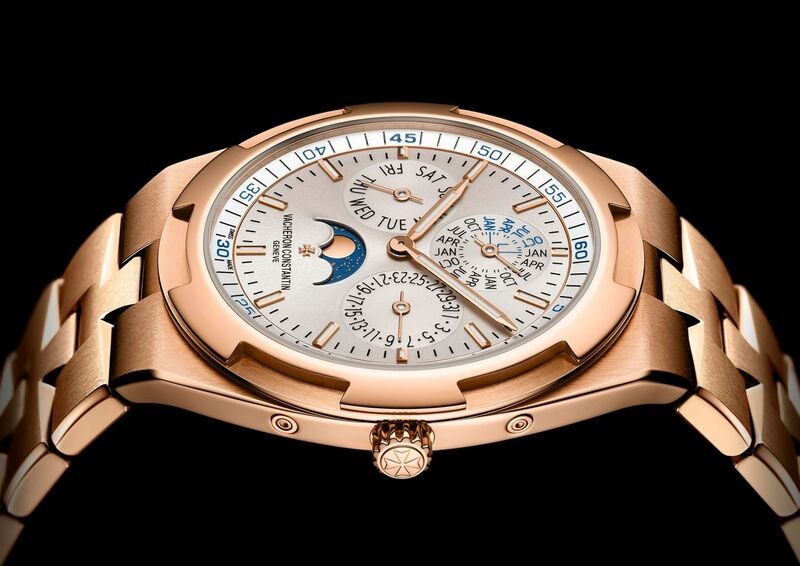 Both watches are based around Vacheron Constantin’s Caliber 1120 QP/1 ultra-thin perpetual calendar movement, and like other watches from the Overseas collection, these two new additions are fitted with the collection’s signature, six-sided bezel that resembles Vacheron Constantin’s Maltese Cross emblem. 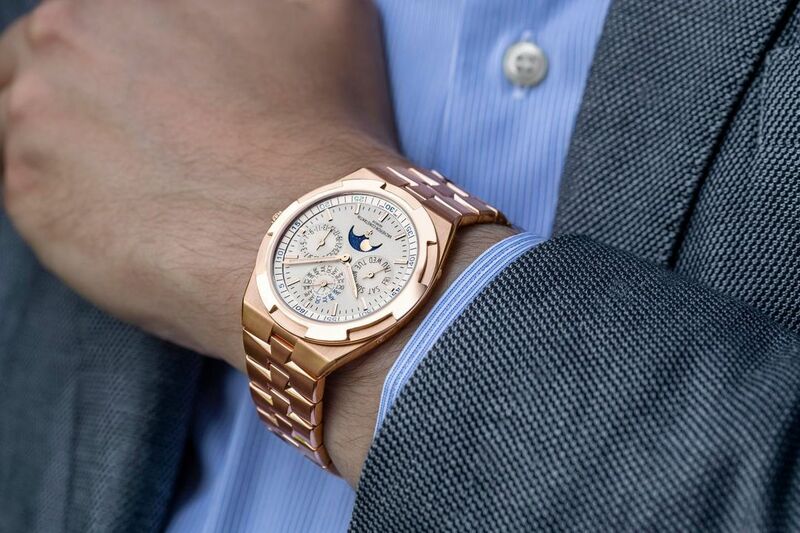 The new Vacheron Constantin Overseas Perpetual Calendar Ultra-Thin with matching pink gold bracelet (Image: Vacheron Constantin). The Caliber 1120 QP/1 is an ultra-thin, mechanical self-winding movement that features a perpetual calendar and moonphase complication. Comprised of 276 components that are housed within a space which is barely 4.05 mm thick, the Caliber 1120 QP/1 beats at a frequency of 2.75 Hz with a 40-hour power reserve, and accounts for various calendar irregularities, requiring no related adjustments until the year 2100. 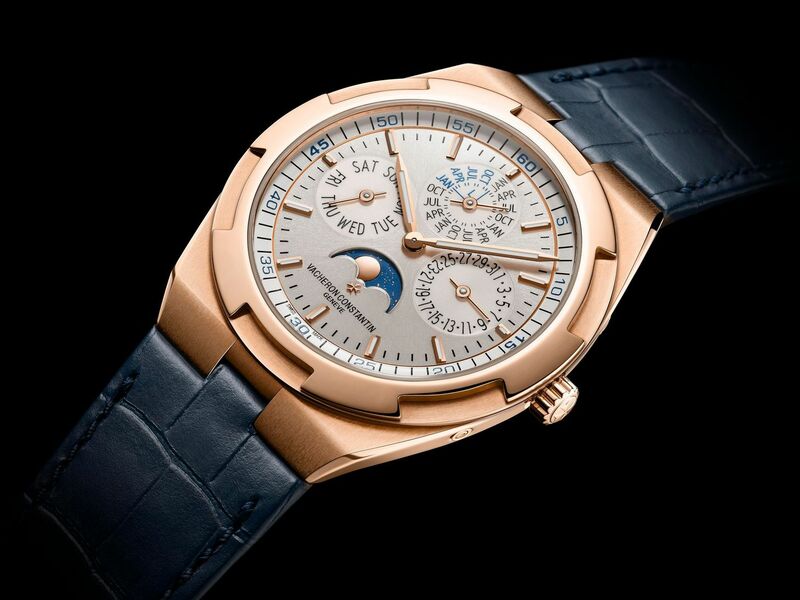 The Overseas Perpetual Calendar Ultra-Thin is available with either a blue or silver-colored dial (Image: Vacheron Constantin). The slightly more relaxed version of the new Vacheron Constantin Overseas Perpetual Calendar Ultra-Thin will be fitted with a blue lacquered dial (reference 4300V/000R-B509), and paired with a set of blue straps (both alligator leather and rubber will be included with the watch). A more traditional and elegant version with a silver dial (reference 4300V/120R-B064) receives a matching 18k pink gold bracelet (the pair of blue straps will also be included). Despite having a very integrated appearance with the case of the watch, the bracelet and included straps can quickly be swapped in and out, due to a tool-free, strap-changing system that allows users to take full advantage of the different options included with these watches. 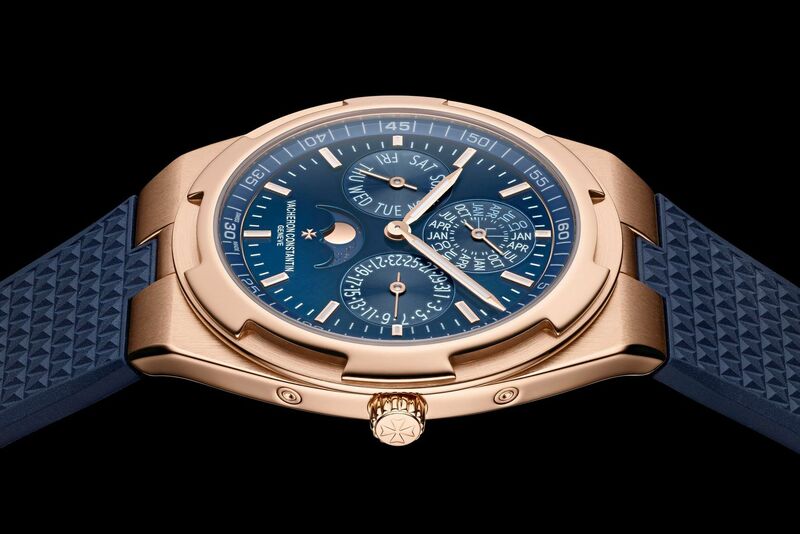 Both versions of the Vacheron Constantin Overseas Perpetual Calendar Ultra-Thin will come with a set of leather and rubber, blue-colored straps (Image: Vacheron Constantin). The Vacheron Constantin Caliber 1120 QP/1 is an ultra-thin perpetual calendar movement with a moonphase complication and a 22k gold rotor (Image: Vacheron Constantin). 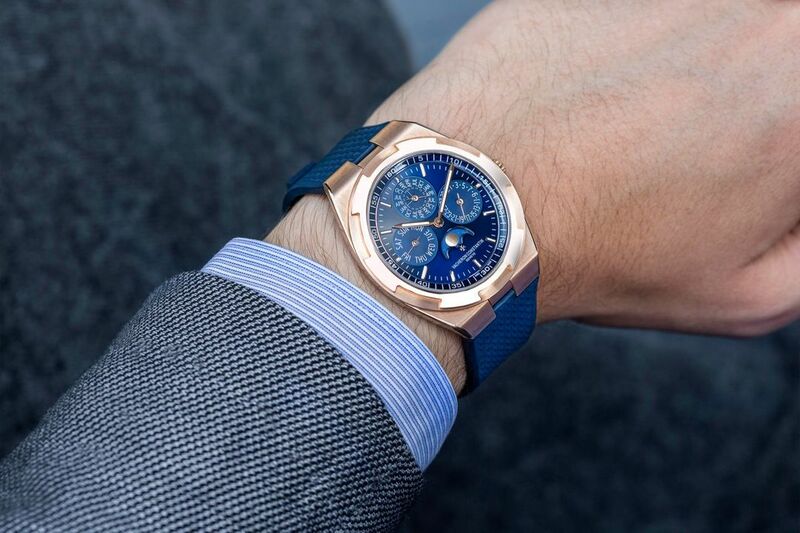 Only the variation with the silver dial is available with a matching pink gold bracelet; however the set of blue straps is included with both watches (Image: Vacheron Constantin). 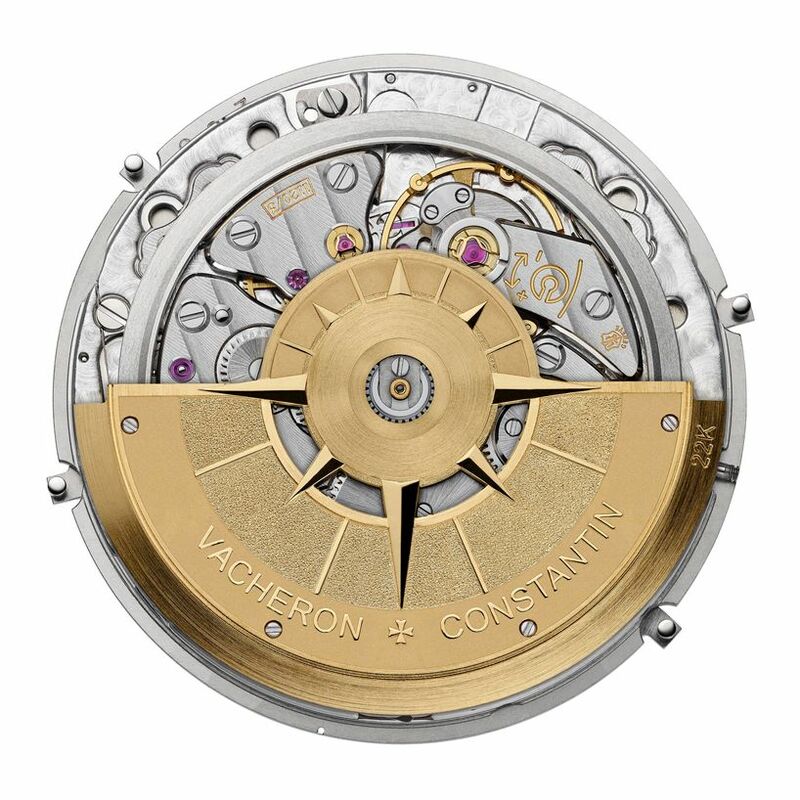 The bracelet and different included straps can quickly be swapped in and out, due to a tool-free, strap-changing system (Image: Vacheron Constantin).